Near the airfield where 90 years ago Charles Lindbergh ended his historic solo flight across the Atlantic Ocean, gathering took place at the cavernous convention halls near Le Bourget Airfield on a similar historic occasion last Saturday. It is here an estimated 100,000 friends and supporters of over 300 human rights and Iranian dissident groups joined dignitaries and elected officials from around the world in what has become the largest annual gathering opposed to the rule of the mullahs in Tehran. This gathering has deep roots in the struggle for freedom and democracy in Iran and represents the largest thorn in the side of the ruling religious leaders of the Iranian regime. These groups included the People’s Mujahedin Organization of Iran (PMOI) for which mere association constitutes treason as far as the mullahs are concerned and punishable by death. While the polarization in American politics as personified by the supporters of Donald Trump and Hillary Clinton are often contentious and biting, it’s hardly conceivable that being a registered Democrat or Republican would warrant a death sentence, yet in Iran, membership in an outlawed political movement is, which makes this event more admirable for the determination of the participants to literally put themselves and their families at risk by merely attending an event that is viewed with such intense hatred by the leaders of the Iranian regime. Why then did they come? The overwhelming majority are ex-pats caught outside of Iran during the Islamic revolution in 1979 which saw the promise of a democratic overthrow of the Shah’s reign instead saw it usurped by the fanatical followers of the religious clerics that essentially stole the revolution and installed an Islamic state that far preceded the ISIS the world is grappling with today. 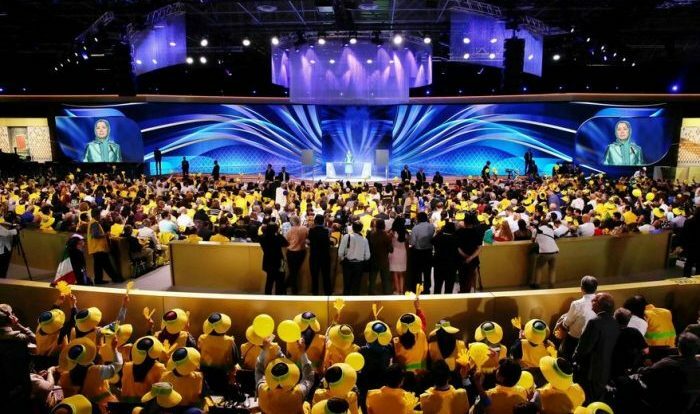 What was most impressive though to those unfamiliar with the Iranian resistance movement was the generational shift occurring with the large participation of young people; the children and grandchildren of the Iranian diaspora. This Snapchatting, Instagramming, Reddit-loving generation energized a movement that was centered on the long struggle through the ‘80s and ‘90s and has given way to the connections being made on social media within and outside of Iran. Connections and sharing that has earned the wrath of the mullahs who have sought to crack down on these social channels by building their own version of the Great Cyber Wall of Iran to track and block the use of social media platforms. Since the original Arab Spring protests were violently put down after being shared socially for the first time through mobile phones and apps, the regime’s intelligence services have relentlessly gone after bloggers and high profile social media stars in Iran; tossing many into prison and threatening them with even worse unless they became willing advocates for the regime. This certainly hasn’t stopped many ordinary Iranians from creating their own forms of private protest; be it posting selfies of women without wearing mandatory hijabs on Instagram or spreading copies of bloated and inflated paycheck stubs of Iranian officials caught in the center of corruption scandals. Most importantly of all, last week’s gathering provided an opportunity for the governments of the world to unite in supporting the opposition movement with representatives that read like a roll call at the United Nations General Assembly. It was an inspiring scene repeated each year to see a cavalcade of members of parliaments, Congressmen, military officers and even a former U.S. presidential candidate of two lead a packed convention hall in advocating for a free and democratic Iran. The names of the speakers are well known to those who follow current events, including former Democratic presidential candidate Gov. Howard Dean, former Republican Speaker of the House Newt Gingrich, former UN ambassador John Bolton, former FBI Director Louis Freeh and inaugural Secretary of Homeland Security Tom Ridge. Most notably, for the first time a high-ranking member of the Saudi royal family came to endorse the movement’s efforts in Prince Turki bin Faisal Al Saud. All of which points out a significant issue for the rest of the world. The resistance movement’s leader, Maryam Rajavi, is one of the most unique and influential political leaders today. She is a moderate Muslim woman, leading one of the largest moderate Muslim movements in the world, who warned almost 20 years ago of the dangers posed by the rise of radicalized Islam, only to see her warnings come true during 9/11 and now with the chaotic civil war in Syria and the spread of ISIS and Iranian regime influence around the world. To say the world is a more dangerous place now would be an understatement as we have seen with brutal and eye-opening terrorist attacks in Sydney, Boston, Ottawa, Paris, Brussels, Orlando, San Bernardino, Istanbul, Baghdad and Bangladesh. The litany of places struck could fill a Fodor’s travel guide around the world. Yet the National Council of Resistance of Iran, which Rajavi leads, has been at the forefront in laying out a plan to combat this rise in radicalization and offering a roadmap for regime change in Iran that leads back to a democratic, non-nuclear, multicultural and pluralistic society. One that does not hang political opponents. One that does not condone eye gouging, acid attacks, amputation and other medieval punishments as law enforcement. One that recognizes the value and rights of women, gays and the young people. What last week’s landmark events also accomplished was refute the endless stream of false accusations and straw men perpetuated by the Iran lobby, which is supported by the Iranian regime. This collection of bloggers, journalists, lobbyists and false front organizations such as the National Iranian American Council, act in concert with agents of regime intelligence services to push out a false narrative that seeks to discredit the resistance movement. More importantly, the Iran lobby seeks to preserve the few gains it has made in securing a fatally flawed nuclear deal and now pushes to open the lines of commerce to fund the regime’s badly depleted bank accounts, drained after years or proxy wars in Syria, Yemen and Iraq. Ultimately, the success of this gathering will not be in the headcount of attendees, glowing press reports or posted selfies of attendees, but rather in the stark reminder to the mullahs that an energized, optimistic alternative to their nihilistic rule exists and it’s made up of Iranians. When Will Iran Regime Be Held Accountable for Terrorism? One of the earliest lessons any child learns from a parent is that their actions have consequences. You scream, you’re told to be quiet. You hit your sibling; you get a time out in the corner. These life lessons form the foundation of our behavior into adult life and help us conform to the restrictions and expectations of living in a civilized world. Even as an adult, we are constantly told our actions have consequences. You show up drunk at work, you get fired. You rob a bank, you go to jail. You murder a person; you get sentenced to life in prison. These are not hard lessons to follow and we all take to them fairly naturally. Only in the arena of foreign affairs and politics do things tend to get more muddled and deviate from what we consider to be acceptable norms. In the case of the Iranian regime, those deviations tend to take on galactic-sized proportions. Take for example Iran’s involvement in the Syrian civil war. It utilizes a proxy in the form of the terror group Hezbollah to fight on the side of the Assad regime. It uses its own Revolutionary Guard and Quds Forces to attack and target Syrian civilians. It recruited Russia to enter the war and used its fighters to target facilities such as Doctors Without Borders hospitals. Throughout this bloody conflict, Iran has been selling the war to its own people like a variety show of television, using celebrities, actors and rich kids to justify its involvement. “And a rather peculiar method is employed to peddle Iran’s message: formerly or currently banned celebrities now receive coverage from Iran’s conservative outlets, in exchange for offering favorable views on Iranian policies in Syria,” he writes. Formerly banned TV host Reza Rashidpour—well known for his tough interviews with Iranian politicians and entertainers—was also enthusiastically covered by conservative outlets for trying to dampen the perception in the society that financial incentives are the main motive for Iranian fighters to go to Syria. What goes unsaid is the regime’s use of financial inducements and pressure to recruit tens of thousands of Afghan refugees to fight in Syria. For the regime, the perception that paying fighters to go to Syria is the only effective tool it has to get the soldiers it needs is troublesome and worrisome to the mullahs in Tehran. It also underscores the inherent weakness of their position as the conflict drags on for years with no appreciable end in sight. And yet the Iranian regime pays no penalty or suffers any harsh consequences from the international community for its actions in Syria. The same can also be said with its almost daily threats to tear up an already broken nuclear agreement and restart its nuclear program—a program it historically denied ever existed. Alaeddin Boroujerdi, chair of the Iranian regime parliament’s national security and foreign policy commission, warned that the Islamic Republic would “resume large-scale uranium enrichment” if leaders feel the international community is not doing enough for Iran under the nuclear deal. “The Islamic Republic of Iran’s response to the other side’s non-compliance with the implementation of the nuclear deal will be uranium enrichment,” Boroujerdi was quoted as saying in Iran’s state-controlled press. His bluster follows similar statements made by top mullah Ali Khamenei last month and have come to take on a certain “boy who cried wolf” tenor as regime leaders start focusing their ire on Western nations for the inept handling of their own economy and the rampant corruption running through regime-controlled industries. Even more alarming were statements made by Hezbollah’s leader Sayyed Hassan Nasrallah were he openly thanked the Iranian regime for its financial and material support over the years to his terror group. The admission comes on the heels of Financial Action Task Force (FATF), the intergovernmental organization that sets global standards to combat money laundering and finance for terrorism and proliferation, once again placing Iran on its blacklist for supporting terrorism, yet granting the regime a reprieve from any additional sanctions in the hopes the nuclear deal might eventually pan out. On what planet do you need to be from to connect the dots of Hezbollah’s own admission of support from Iran for terrorist activities and yet no consequences come from it? Yet, the same administration is trying to convince foreign banks to bankroll the Iranian regime and ignore the inconvenient truth of its support for terrorism. It is arguably the most obtuse argument ever made in foreign policy since Neville Chamberlain came back from Munich claiming “peace in our time” from Adolf Hitler. All of which goes to show that unless the Iranian regime finally understands the consequences of its actions, nothing will ever change there. 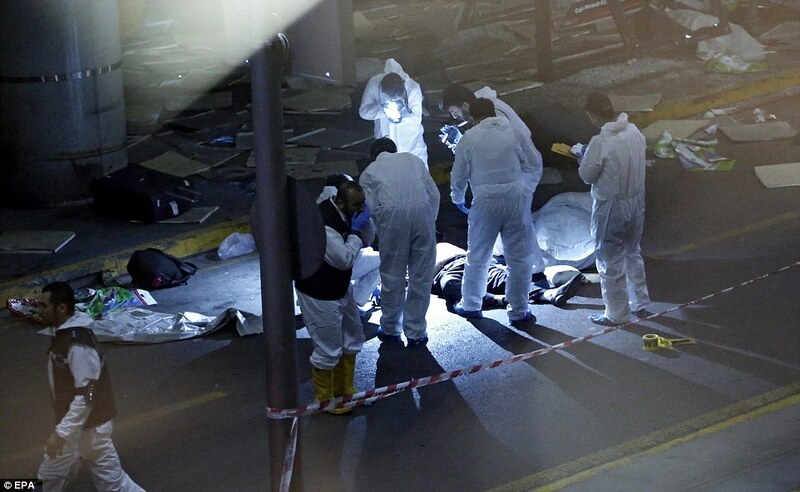 Terror struck another airport again, this time in Turkey, with devastating loss of life. The world was quick to label it terrorism and it brought back fresh memories of similar attacks in Paris and Brussels as suicide bombers fired assault rifles at passengers and then exploded vests. While no terror group has claimed responsibility so far, suspicion by Turkish officials naturally fell on ISIS which operates extensively along the border with Syria and Iraq. If this attack was perpetrated by the Islamic State, it opens up a widening front in its efforts to destabilize Turkey, which has already suffered steep drops in tourism; a vital component of its economy. What is worrisome is the larger global trend towards rising violence from radicalized Islamists, either operating directly under the control of terrorist leadership as in Paris, or being self-radicalized as in San Bernardino and Orlando. The response from many countries to these escalating attacks has been to call for stepped up attacks on ISIS in Syria and Iraq, as witnessed by Wednesday’s attack of an ISIS column leaving Falluja in Iraq by U.S.-led aircraft, or call for a hardening of potential soft targets at home. What none of these suggestions deal with is the source of this rise in terror from extremist Islamic groups, which is the Iranian regime. Iran and its mullahs sit at the center of the sectarian violence wracking the region. It was Iranian regime’s intervention in Syria to save the Assad regime that helped to spawn ISIS in the first place. It was Iran that provided safe haven for many of the leaders of Al-Qaeda forced out of Iraq and Afghanistan by the U.S.-led invasions, only to see them go back to fight in Iraq and Syria. It was Iran that forced the government of former Iraqi prime minister Nouri al-Maliki to force his Sunni coalition partners out of the government, leading to the schism that resulted in the quick fall of Mosul and most of northeastern Iraq to ISIS, giving the terror group its big boost in territory, cash and oil wells. Predictably, while the rest of the world expressed shock, outrage and sympathy over the attacks in Istanbul, the response by the Iranian regime was understandably muted. Bahram Ghasemi, newly-appointed spokesperson for the regime’s foreign ministry, officially reacted to the blast when he offered condolences and sympathy to the bereaved families of the victims and Turkish government in state-run media. “As Foreign Minister Zarif had frequently stated, there is a systematic lack of international resolve to address the vicious phenomenon; extremism and terrorism would not be limited to political and geographical borders,” he said. There were no similar sentiments expressed by regime leaders such as Ali Khamenei or Hassan Rouhani. The two-faced nature of the Iranian regime when it comes to condemning acts of terror was highlighted in an editorial by Tom Ridge, former secretary of homeland security, in the Washington Times, in which he took the regime to task for its expressions of sympathy following the mass shooting at the Pulse nightclub in Orlando. “It’s hard to imagine an expression of sympathy more disingenuous. Tehran’s comments must be viewed against a backdrop of its status as the world’s most active state sponsor of terrorism, its steady propaganda against the United States, and its own brand of homophobia that has its origins in Islamic extremism,” he said. “Iran is not all talk. The rhetoric about Western ‘arrogance’ and ‘hostility’ has been backed up by the arrests of numerous people who hold both Iranian and Western citizenships. The same goes for journalists, artists and professionals who have any meaningful connections with the West, and for activists the regime deems pro-Western,” he added. This disconnect between the lip service Iran pays to acts of terror, while fully committing itself to supporting and funding it lies at the heart of the problem with the approach the U.S. and European Union have taken to Iran since the nuclear agreement was reached last year. You cannot hold a state sponsor of terror such as Iran accountable when you are rushing to do business deals to enrich it. It is dangerous and will eventually lead to only more acts of terror and more chaos across the world. The rise is terror is only matched by the abhorrent level of human rights abuses being committed by the Iranian regime as well. Perviz Khazaii, former Ambassador of Iran in Sweden and Norway and the representative of the National Council of Resistance of Iran in Nordic countries, penned an editorial in The Diplomat highlighting these abuses. “Violent punishments are not confined to Iran’s prisons, either. For instance, in October 2014, gangs affiliated with the regime carried out acid attacks on at least 25 Iranian women and girls who were regarded as being improperly veiled or otherwise in violation of religious norms,” he said. Matthew McInnis, a resident fellow at the American Enterprise Institute, also examined how Iran’s involvement in these conflicts has fueled the rise in sectarian violence as the mullahs seek to solidify a Shia sphere of influence for themselves in Syria and Iraq in an editorial in the National Interest. “Tehran’s most frequent foreign-policy blind spot remains underestimating the degree to which its aggressive regional activities spur sectarian and ethnic backlash. If it can avoid triggering further Sunni radicalization, an internal Shia civil war, and the potential breakup of the country, however, the Islamic Republic is likely in good shape to continue its ‘Iranianization’ of Iraqi security and political structures,” McInnis writes. The world should stop enabling the regime and hold it accountable for the spread of terrors motivated by Islamic extremism. An international group that monitors and combats money laundering worldwide decided this weekend to keep the Iranian regime on its blacklist of high-risk countries, which included notably Syria, Iraq, Yemen and Afghanistan; all countries the regime is currently engaged in proxy wars. At a meeting of its 37 members in South Korea, the Financial Action Task Force also moved to keep North Korea on its blacklist and urged countries to be on guard against Pyongyang’s attempts to bypass sanctions to finance illicit weapons programs. 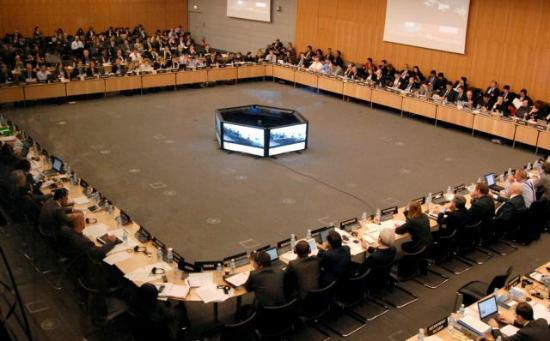 “The FATF, therefore, calls on its members and urges all jurisdictions to continue to advise their financial institutions to apply enhanced due diligence to business relationships and transactions with natural and legal persons from Iran,” read the statement FATF issued. The FATF deferred to the potential for the Iran nuclear deal to help motivate Iran’s support of terrorism, and opted to defer further sanctions for another 12 months to see if the Iranian regime follows through on its promises. But it is interesting to note the FATF only list 11 nations as being high-risk or non-cooperative in the areas of money laundering and support for terrorism and the Iranian regime is affiliated in its support with five of them. Almost half of the nations on the planet engaged in these activities are tied to the mullahs in Tehran. That is a remarkable achievement for any regime to take, especially one that is constantly defended by the Iran lobby as a peaceful and moderate nation. The absurdity of that defense reached new levels with a statement issued by the National Iranian American Council’s Tyler Cullis, which welcomed the deferred action by the FATF, but ignored the continued presence of the regime on the blacklist; choosing instead to look at the glass half-full scenario. “FATF has suspended its call for Member-States and other jurisdictions to impose counter-measures against Iran and its financial institutions, which should send a clear signal to international banks and businesses that economic opportunities with Iran can move forward,” Cullis said. It’s a rather willfully ignorant statement since the FATF clearly warned member countries to exercise due diligence when dealing with anyone connected to Iran. When applied to financial institutions such as commercial banks, that is a clear warning to stay away from Iranian regime, which virtually all major banks have opted to do given the uncertainty raised by the FATF. Cullis claims that the regime has made meaningful steps to counter the financing of terrorism in what has to be the biggest obfuscation since Adolf Hitler said Czechoslovakia invited the Nazis in. Cullis ignores the interception of several Iranian boats attempting to smuggle guns, rockets and ammunition to Houthi rebels in Yemen. Cullis ignores the arming and support Shiite militias in Iraq which are now meting out retribution against Sunni tribes in furthering sectarian bloodshed. Cullis ignores the long-term funding of Hezbollah and the use of terror in the Syrian conflict in targeting civilians and Doctors Without Borders hospitals. There is good reason why Transparency International ranks the Iranian regime 130th out of 168 countries in the world for corruption with a score of 27 out of 100. Cullis claiming there are meaningful reforms coming from the mullahs in Tehran to combat terrorism is like claiming a butcher shop is trying to go vegan. Sanctions experts, banking sources and Western officials say little will change regarding financial institutions’ “hands off” approach to Iran, above all due to concerns about the Islamic Revolutionary Guard Corps’ (IRGC) omnipresence in the Iranian economy. The IRGC is still under international sanctions, according to Reuters. “Practically speaking the FATF decision changes little since global financial institutions will continue to voluntarily implement strict counter-measures given their serious concerns over Iran’s illicit financial conduct,” said sanctions expert Mark Dubowitz of the Foundation for Defense of Democracies. To further illustrate how Cullis and the rest of the Iran lobby is wrong, the regime’s top mullah Ali Khamenei obliged with yet another warning of violence to a neighbor, in this case Bahrain. He blasted as “foolishness” a decision by Bahrain’s leaders to strip a top Shi’ite Muslim cleric of his citizenship, and said it could provoke violence from Shi’ites, who make up the majority in the Sunni-ruled Gulf kingdom. The speech by Khamenei, carried by state media, came after Bahrain’s Sunni authorities stepped up measures against the island’s Shi’ites and stripped their spiritual leader, Ayatollah Isa Qassim, of his citizenship. “This is blatant foolishness and insanity. When he still could address the Bahraini people, Sheikh Isa Qassim… would advise against radical and armed actions,” Khamenei said in remarks carried by state television on Sunday. “Attacking Sheikh Isa Qassim means removing all obstacles blocking heroic Bahraini youths from attacking the regime,” he said. Of course he neglected to mention that Bahrain has long maintained that Iran funnels financial material support to would-be insurgents. Again, that pesky “funding terrorism” problem. Aside from funding terrorism, the Iranian regime still remains a black hole for human rights and its continued arrests of foreign nationals alone should keep it in the sanctions pokey. If the Iranian regime is afraid of women like these, its days in power are surely numbered. The list of mass killings grew longer this weekend as Orlando was added to San Bernardino, Paris, Sydney, Ottawa and others. Since the tragedy of 9/11, there has been an estimated 85 attacks attributed to Islamic fundamentalism; not counting the bloody proxy wars being waged in Syria, Iraq, Nigeria and Yemen. In what is now the largest mass shooting in American history, and the largest terrorist attack since 9/11, the U.S. is once again a target for someone who appears to have been radicalized by Islamic fundamentalism. In the coming weeks, there will be intense investigations looking into every aspect of the killer’s life, his possible contacts with radical elements overseas and his state of mind that might have allowed him to be radicalized. What is clear though is that the root of all of these attacks lies within the propagation of a nihilistic ideology that is not based in religion, but rather in the debased whims of cold-blooded killers and those hungry for power and control. 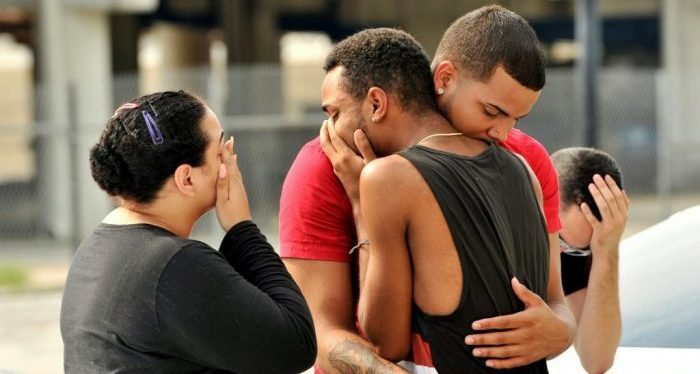 The discussion in Orlando, just as it was in Paris, should not be debates about whether or not the shooter was motivated by anti-gay hatred, or if gun control could have stopped him, or if he was under the direct control of ISIS or some other Islamist group. What should be the discussion is that what motivates these mass murders is really quite simple: it’s an idea. This idea believes in the supremacy of a chosen few and that anyone else not sharing that same ideology is better off dead, enslaved or imprisoned. It’s an idea based on the concentration of power in the hands of a select few who have the power of life or death. It’s an idea that wears the shroud of religion, but in fact shares no common ground with the faith it espouses to be. It is not an idea of peace. It is not an idea of equal rights. It is not an idea of democracy, or pluralism or freedom. This idea is radical Islam and it is a cancer on the world; eating away at the hearts and minds of young men and women who are drawn to its allure and motivated to wreck death and destruction in the blind pursuit of eradicating all others who do not ascribe to this same vision. But like any idea, it needs a safe haven to be broadcast and spread. It needs support, infrastructure and security from scrutiny. It needs a shield to protect it from eradication. In short, radical Islam needs the Iranian regime. Like the fruit of a poisoned tree, the Iranian regime’s tree of death bears fruit that has been plucked and exported to Syria, Lebanon, Iraq, Afghanistan, Nigeria, Yemen and throughout the Gulf states. It takes the form of illegal shipments of arms, recruited mercenaries and terrorist groups such as Hezbollah. It thrives in the form of extremist groups such as ISIS, Boko Haram and others that watch public executions in Iran and videotape similar barbaric executions. It learns from misogynistic laws passed by the Iranian government permitting marriage for young girls as young as 13, even by their own step fathers, which in turn leads to sexual enslavement of young Nigerian girls and Yazidi Christians by Boko Haram and ISIS. It mimics brutal punishments in Iranian religious courts that sanction public amputations, eye gouging, acid in the face, public beatings and imprisonment without charge or trial. Since 1979, the Iranian regime has set the bar for the world’s terrorists and killers to follow and it has set it high. It is no coincidence that during the past two years since Hassan Rouhani was handpicked by Ali Khamenei and the nuclear deal was negotiated in an abysmal act of appeasement, the size, scope and scale of violence perpetrated and inspired by radical Islamists have mushroomed around the world. The battlefields of the Middle East have now come to the streets of Paris, the suburbs of San Bernardino, the downtown of Orlando and many other cities and the Iranian regime and its mullahs in Tehran have been the clarion call to arms for those radicalized men and women. They have been inspired to commit these acts because nothing is more dangerous than the lure of an ideology that is not combatted by effective ideas of our own. Nothing illustrates this more than the lack of support for competing ideas that resonate and come from dissidents living in these same countries. People that are susceptible to being radicalized are not likely to be swayed by slick commercials produced in Hollywood or a commemorative pin worn by celebrities at a gala. They are more likely to be persuaded when men and women that share their same ethnicity, culture, history, religion and even family heritages make the case against radical Islam, which is why the priority by Western governments should be on supporting the cause of human rights and dissident groups in Iran and elsewhere. Groups such as the National Council of Resistance of Iran have long fought the good fight in combatting the lies of the Iranian regime and ripping off the veil that obscures the harshness and brutality of the regime. Groups such as the NCRI often smuggle the only testimonials and accounts of executions, torture, arrests and imprisonment that feed into the narrative that radicalizes these disaffected people to commit violence. Supporters of the regime, such as the National Iranian American Council, have participated as a lobby for Iran trying to hide the truth, but they know they cannot cover up atrocities such as what has happened in Paris or Orlando. They are struck deaf and mute in the face of such open and wanton violence and bloodshed. Predictably, these groups forming the Iran lobby will mouth the appropriate words of sympathy and express horror at the killings, but they will also be sure to make the case that none of this should be used to discredit Iran, even though Iran serves as the well spring of hatred from which these acts flow. And if they try to portray this as an isolated incident simply of anti-gay hatred, we should remember that for the past two years, Islamists had been finding gays in areas of Syria and Iraq they control and tossing them off the roofs of high rise buildings. Hatred is bred within radical Islam and it needs a home to nurture. The world needs to deny that haven in Iran. The Obama administration is expected to blame Iranian hackers as soon as Thursday for a coordinated campaign of cyber attacks in 2012 and 2013 on several U.S. banks and a New York dam, sources familiar with the matter have told Reuters. The Justice Department has prepared an indictment against about a half-dozen Iranians, said the sources, who spoke on condition of anonymity due to the sensitivity of the matter. It is one of the highest-profile U.S. indictments against a foreign nation on hacking charges. The indictment follows a string of provocative acts the Iranian regime has undertaken ranging from illegal launches of new ballistic missiles to appalling human rights crackdowns to continued support of three proxy wars that have generated a massive refugee crisis. The indictment was expected to directly link the hacking campaign to the Iranian government, one source said. The banks will not be identified in the indictment due to fear of retaliation, the source said. Though a planned indictment for the breach of back-office computer systems at the Bowman Avenue Dam in Rye Brook, New York, has been reported, it was only part of a hacking campaign that was broader than previously known, as the indictment will show, the sources said. 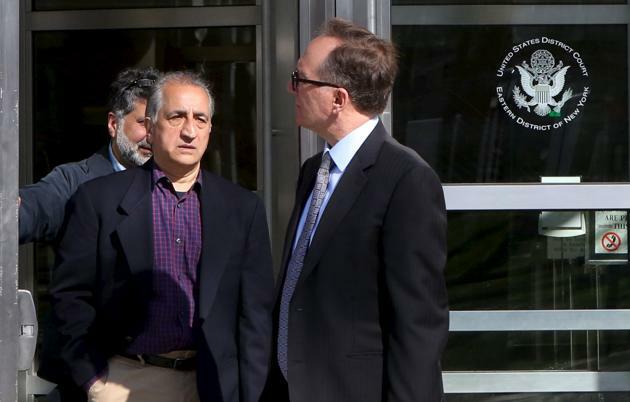 This follows the indictment of Ahmad Sheikhzadeh, 60, a consultant to the Iranian mission to the United Nations who is accused of charges related to sanctions violations, money laundering and tax matters, by the U.S. government in a Brooklyn, New York federal courthouse. The string of legal actions signal an effort to respond to the new Iranian regime violations and incursions against the backdrop of rising terrorist attacks – namely in Brussels – and growing uncertainty over the nuclear deal reached with Iran and the much ballyhooed promise of moderation that is now evaporating quickly. Calls to get tougher with the regime have become more common and include calls for the re-imposition of sanctions. “The U.S. and our partners need to impose sanctions with real economic teeth. Some policymakers may be tempted to resolve the current situation by sending a symbolic message to Iran while avoiding antagonizing international partners, for example by imposing a narrow set of sanctions against individual Iranian military officials or small Iranian defense companies involved in the missile program,” said Peter Harrell, an adjunct senior fellow at the Center for a New American Security (CNAS) and the former deputy assistant secretary of State for Counter Threat Finance and Sanctions, in a piece in The Hill. “But these kinds of sanctions rarely have meaningful economic bite, since most Iranian officials and defense companies have few economic ties to the U.S. or our allies. The Iranians would rightly perceive such sanctions as a largely symbolic message that refrained from imposing real costs on Tehran. Such sanctions would be unlikely to deter further Iranian aggression or prevent them from further testing the limits of the nuclear deal,” he added. Some activists suggested that enthusiasm over the nuclear deal and prospects of future trade with Iran are causing the international community to turn a blind eye to Iran’s human rights violations. Since sanctions were lifted in January, foreign business delegations have flooded Iran and multibillion-dollar deals have been brokered. Speaking from Geneva, Safai said that since Rouhani took office, a 50 percent quota had been imposed on the number of women studying at higher education institutions. Before Rouhani, 67 percent of students at universities were women, Safai said. More worrisome were comments coming from the Revolutionary Guards who were supportive of calls by top mullah Ali Khamenei for a continuation of the regime’s “resistance economy” and called for a larger role for the Guards in Iran’s economy. “The armed forces are ready to play a significant role in the resistance economy and implementing the supreme leader’s suggestions,” Brigadier General Masoud Jazayeri, deputy joint chief of staff of the armed forces was quoted as saying by Fars news agency. Jazayeri added that Rouhani should see the Guards’ achievements in creating advanced ballistic missiles as an economic blueprint and evidence that Iran did not need foreign investment to succeed. As the evidence mounts of growing confrontations with the Iranian regime on multiple fronts, the Iran lobby continues to remain silent on the rise in tensions since its claims of moderation in the wake of the nuclear have proven to be false. The National Iranian American Council, the leading advocate and lobbyist for the Iranian regime, published its list of accomplishments for 2015. It was a revealing list giving insight into the top priorities for the NIAC. Restoring basic rights to Iranian women to be free from abuse, spousal murder and misogyny laws. On the surface, that would seem like an eminently reasonable list of goals for any organization interested in advancing humanitarians causes, but in the case of the NIAC, none of those goals are in its list of accomplishments, nor are they in its 2016 resolutions for future action. That’s right, zero, zilch, nada. So what exactly were the NIAC’s best accomplishments for the year? According to its website, the NIAC lays proud claim to nine achievements in its list, of which seven were related to the nuclear agreement with the Iranian regime. The single most important achievement for the NIAC in 2015 according to its own boasts was securing a nuclear deal already dead on arrival with the test firing of ballistic missiles in violation of United Nations Security Council sanctions and threats by the mullahs to walk away from the deal if there are any threats to impose new sanctions for its missile violations. 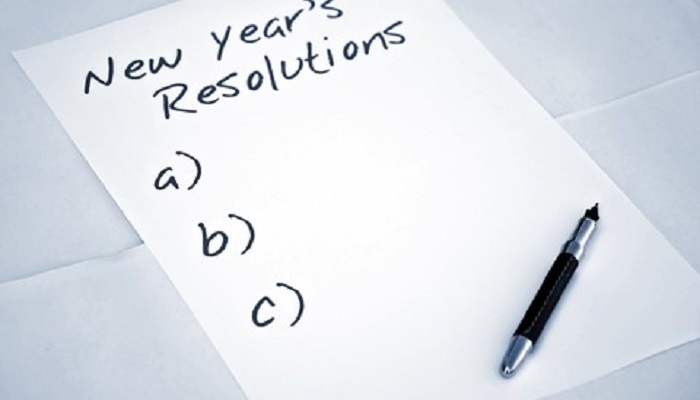 Unsurprisingly, among its four stated “resolutions” for 2016, half relate to the nuclear deal. Nowhere does NIAC mention the Iranian-Americans being held in Iran. Nowhere does NIAC mention the brutal human rights situation in Iran. Nowhere does NIAC mention the growing sectarian rift being fueled by extremist statements being made by top mullah Ali Khamenei who has been calling for the destruction of Sunni Arab states. Nowhere does NIAC give any mention to the need to ratchet down tensions by calling on the Iranian regime to withdrawal support for proxy wars that have turned the Middle East into a battlefield stretching from the Mediterranean to Indian Oceans. Instead, the NIAC’s sole focus is to keep the nuclear agreement alive long enough for $100 billion in cash to be wire transferred into regime bank accounts. Trita Parsi must be looking to buy a new house. It is a sad situation when the NIAC spells out in its own words its top priorities and none of them address the concerns of Iranian-Americans who yearn for a return to a homeland free from religious control, free from harsh brutality and open to all forms of religious worship and freedoms. Far from serving Iranian-Americans, the NIAC serves only the mullahs in Tehran and has no other agenda than to take its orders from them. One would think just for the sake of appearances the NIAC would throw a bone to human rights advocates and mention or cite as a goal the release of these Iranian-American hostages as a priority. It doesn’t even have to be the top priority, maybe number five or six on its list, but the NIAC can’t even bring itself to do that. It should be apparent to any member of Congress, to any Congressional candidate, to any presidential campaign, who looks at this list, the NIAC is nothing more than a lobbying arm of the Iranian regime and does not accurately reflect the concerns of Iranian-Americans. In this new year of 2016, we can only hope everyone wakes up to the charade the NIAC has been playing in 2015. In many ways, 2015 could be labeled the “Year of the Terrorist” because terrorism was the dominant driving news story throughout the world. It began on January 7 in Paris with the Charlie Hebdo attacks and it ended in November with multiple attacks in Paris again. In between were attacks around the world ranging from the bloody conflict in Syria to seemingly random shootings inspired by Islamic extremism in places such as Chattanooga, Tennessee and San Bernardino, California. Attacks included almost endless assaults in Nigeria with Boko Haram, Yemen with Houthis, and Iraq with ISIS and Shiite militias. The rise in terrorism and level of brutal violence was punctuated by mass kidnappings, the sexual enslavement of countless women and girls and videotaped executions reflecting the desire of these terrorist groups to maximize the fear and anguish of the civilized world. If the world thought 2014 was a year of terror with attacks in Sydney, Ottawa and Belgium, 2015 found terrorists willing to push the proverbial envelope in creating hysteria and shedding blood. ISIS reached new heights in barbarism shared with the world with a video showing the burning to death of Jordanian pilot Moaz al-Kassasbeth, who was also a Muslim, in a cage and became enemy number one in the minds of a majority of people around the world. But February of 2015, a whopping 68 percent of Americans cited ISIS as the number one security threat to America. That number would only grow throughout the year as ISIS executed 21 Egyptian Coptic Christians on the shores of Libya and extremist violence struck in Copenhagen. 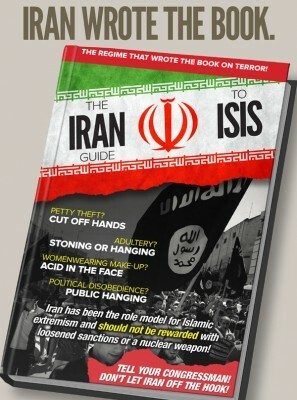 But the blueprint for these grotesque public executions did not begin with ISIS, but rather has been a hallmark of the Iranian regime, which relies on public hangings – often with construction cranes substituting for gallows in town squares – and public amputations with power saws to enforce its medieval brand of justice. Its religiously controlled courts dispense justice at the whims of the mullahs in Tehran and often with no witnesses, no open trials and no evidence. Tens of thousands ordinary Iranians have been sentenced in this manner and over 1,100 have been executed as catalogued by humanitarian and dissident groups such as Amnesty International. Being a symbol and mass media template for ISIS and other terror groups is not the only contribution of the Iranian regime in 2015. It also provided ample funding of various terrorist and extremist groups including its long-time proxy in Hezbollah and its recent funding of Houthis rebels in Yemen and the virtual takeover of Iraq’s military and the organization of Shiite militias to fight there and in Syria. It is not an understatement when various analysts, commentators and journalists have all noted how the Iranian regime has become terror central in 2015. That became more evident in news media investigations in March of a shadowy unit in the Iranian Revolutionary Guards Quds Forces known as Unit 190 which has fueled many of the conflicts and civil wars raging across the Middle East and North Africa. After a lengthy and in-depth investigation, Fox News traced the complex land, sea and air routes used by the Quds Force to move weapons to terror groups like Hezbollah, as well as the Houthis who have recently toppled the government in Yemen which only last year was being held up as an example by the Obama administration in the effective fight against terror. At the heart of Unit 190 is Behnam Shahriyari, born in northwest Iran, who according to western intelligence sources runs a network of straw companies which skirt sanctions by packing rockets, night-vision equipment and grenades in powdered milk, cement and spare kits. Fox News went on to show photos revealing a hanger at Tehran’s international airport which serves as warehouse and logistics center for the unit’s shipments of illegal weapons fueling conflicts that have killed thousands of innocent civilians globally. That commitment to terrorism should be recognized by the world as not an ideological battle between Sunni and Shia as the Iranian regime would have us believe, but rather a straight battle for political power, land and military force between the Iranian regime and the rest of the Islamic world and on a much larger political stage, between what the mullahs in Tehran hope will be a new Shia sphere of influence versus the rest of the world. Training and arming of insurgents during the Iraq War targeting thousands of innocent Iraqis and also American service personnel. 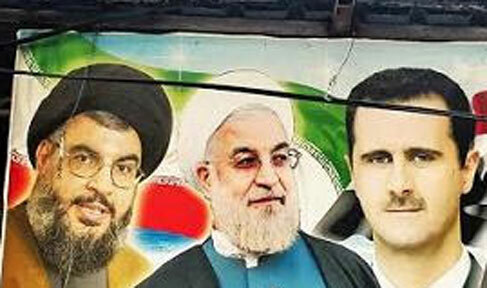 Now that Hezbollah has provided the bulk of fighters in Syria over the past two years, now aided by mercenary Afghans recruited by the Iranian regime and joined by Quds Force fighters, the regime has made saving Assad in Syria its number one foreign policy initiative next to securing a nuclear deal with the West. It is because of the potential for real change in Iran coming from ordinary Iranians that we can only hope 2016 will be much different than 2015. 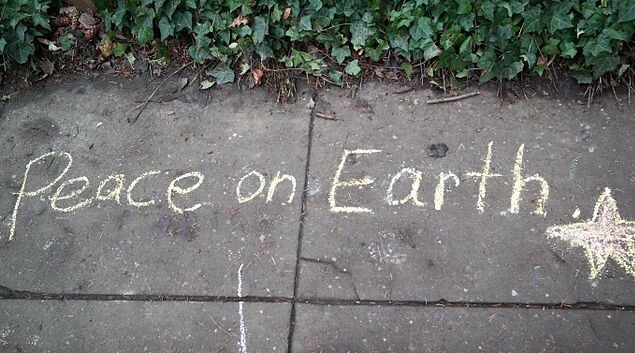 With the world celebrating Christmas and all other assorted holidays this week, it’s worth stepping aside from our normal hustle and bustle and recognize how for one very brief moment, a significant portion of humanity can be joined in peace and harmony. Even in the worst and darkest times, there can be a glimmer of hope as there was in Christmas of 1914 during World War I when the so-called “Christmas Truce” took place in the trenches of the Western Front. Even though trench warfare and modern weapons had rendered warfare more akin to industrial slaughter, that particular Christmas found British and German soldiers climbing out of their trenches to exchange seasonal greetings, souvenirs and food and even join in carol-singing. While that truce did not last, throughout history combatants have found small moments to remember the meaning of the holidays. In today’s world though, we find ourselves living in a time where holiday shoppers have to be on the lookout for unattended bags, passengers on airlines endure enhanced screenings and parents dropping off their children at movie theaters to see the new “Star Wars” movie fret over mass shootings. The recent terror attacks in Paris and San Bernardino have set Americans on edge to the point that handguns have moved to the top of several wishlists for people wanting to protect themselves, while local law enforcement look for any signs of extremist behavior in social media and in their communities. The fact that this heightened sense of security is quickly becoming the “new normal” is saddening and a reflection of what our lives may have to be like for the foreseeable future as bad actors around the world continue to focus their terrorist attacks and extremist ideologies at precisely what the holidays have come to represent: peace, joy, love, harmony, tolerance and community. Nowhere has that been more emblematic than in the wholesale slaughter and expulsion of Christians throughout the Middle East, which reached a crescendo with the plight of the Yazidi sect in Syria and Iraq where 5,000 of them were massacred in 2014 and the sexual enslavement of thousands of women and girls by ISIS. This was followed by the now infamous videos aired by ISIS killing Egyptian and Ethiopian Christians in mass beheadings and the near eradication of Christian towns, villages and communities in the wake of Islamic extremism’s rapid march. According to the New York Times, the percentage of the Middle Eastern population that was Christian from 1910 to 2010 was once as high as 14 percent, but has now declined to roughly 4 percent, and all but gone in Iran. Even in Lebanon, once a Christian-dominated country with 78 percent of the population, Christians now account for only 34 percent as Hezbollah and other Islamic extremists groups have taken control over large portions of the country. The future of Christianity in the region of its birth is now uncertain. ‘‘How much longer can we flee before we and other minorities become a story in a history book?’’ says Nuri Kino, a journalist and founder of the advocacy group Demand for Action. But the plight of Christians is only one part of a much larger puzzle where Islamic extremists and religious theocracies such as the Iranian regime systematically drive out any other religion not theirs in order to create a religiously pure society. Of the 3.1 million displaced Iraqis, 85 percent are Sunnis. No one has suffered more at the hands of ISIS than fellow Muslims. Other religious minorities have been affected as well and in large numbers: Shia Turkmen; Shabak; Kaka’i; and the Mandeans, who follow John the Baptist. The fact that there are almost no Christians left in Iran speaks volumes to the hospitality they enjoy under the yoke of the mullahs in Tehran. There are currently 91 Christians in Iranian regime prisons, including American pastor Saeed Abedini who will not be celebrating Christmas with their families and loved ones. Most are imprisoned under the false charges of threatening national security through their ministry of Christianity. We can only hope that by next Christmas, these families experience the greatest present of them all, the return of their loved ones and the halt of persecuting Christians in Iran and elsewhere. In the wake of the Paris and San Bernardino attacks, the world is coming to grips with the new face of terror on so-called “soft” targets of opportunity by native-born residents who become radicalized under the siren call of extremists emanating from terror groups such as ISIS and Al-Qaeda and sponsors of terror such Syria and the Iranian regime. As the federal investigation uncovers more about the history and background of the husband and wife terrorist team in San Bernardino, facts about how they were radicalized and where they learned their deadly skills in bomb making and planning will undoubtedly emerge. But what these attacks do point to is an unmistakable strain of extremist belief snaking its way around the world through social media, blogs and videos perpetuating a mythology that has its roots in the apocalyptic beliefs formed out of the Iranian revolution taken over by extremist mullahs who have since controlled Iran and turned it into an perpetual terror factory. The fact that since the negotiations that yield a nuclear agreement last July purportedly helping support “moderate” elements in the regime’s government, the evidence to the contrary has flooded out of Iran as the mullahs in Tehran launched a massive offensive in Syria, cracked down with broad arrests of journalists and dissidents, went on a military hardware buying binge and doubled down on incendiary and extremist messages broadcast through a sophisticated online and PR effort. The reaction of the regime since the nuclear deal was completed has alarmed virtually everyone in the U.S. and Europe and led to a broad hardening of stump speeches and policy positions from virtually all the main contenders in the U.S. presidential campaign. 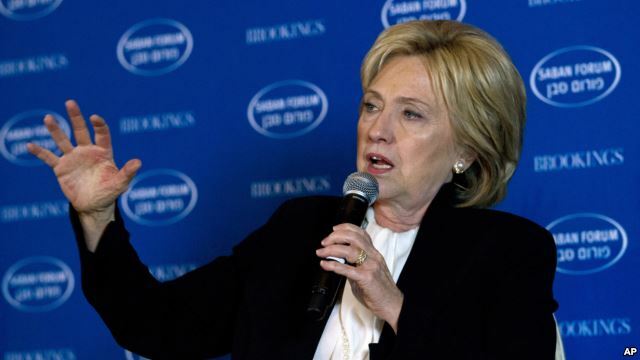 Most notable has been the former Secretary of State Hillary Clinton who promised the U.S. would “act decisively” if the regime sought to violate the nuclear agreement in a speech at the Saban Forum, a conference on Middle East policy at the Brookings Institute think tank. “Iran will test our resolve. They have already started to do so with a ballistic missile test and other provocative behavior. We have to respond to these provocations including with further sanction designations as necessary,” Clinton said. She threatened to use military force for incursions on the deal. “Our approach must be distrust and verify. There can be no doubt in Tehran that if we see any indication that Iran’s leaders are violating their commitments in the deal not to seek, develop or acquire any nuclear weapons, we will stop them. And we will make sure the Iranians and the world understand that the United States will act decisively if necessary, including taking military action,” Clinton said. The tougher stance was reflective of the national mood in the U.S. turned fearful by the San Bernardino attacks, but also the seeming spread of extremism by the simple preaching of it from strongholds and bully pulpits such as Syria and Iran. Just as Al-Qaeda was able to plan and mount the 9/11 attacks from the relative safety and comfort of a Taliban-controlled Afghanistan, there is a growing sense that the security of Syria and Iran offer extremists a safe haven to recruit and cultivate potential jihadists around the world. As FBI Director James Comey has warned, the “outsourcing” of terrorism represents an alarming and hard to control new threat the world has not seen before. It is also a logical explanation as to why the Iran lobby has not voiced any criticism not only of the Iranian regime, but the rise in terror attacks themselves, which is frankly inexplicable given the chorus of voices coming out of the American-Muslim community calling on a new frank and open dialogue about combatting the rise of extremism. One such forum was sponsored by the Heritage Foundation in Washington, DC where a collection of Muslim groups denounced extremism and called for an unfiltered national discussion to combat the propaganda being offered by terror groups and nations such as the Iranian regime. It’s a similar call previously made by leading Iranian dissident leaders such as Mrs. Maryam Rajavi of the National Council of Resistance of Iran who has long advocated for a return to secular, democratic government in Iran. Notably, Iran lobby group, the National Iranian American Council, was absent and silent on the topic. While the PC crowd may dither with the terminology of calling these extremists plain old “terrorists” or “Islamic extremists,” what is not in dispute is the threat they pose and the encouragement and support they receive from places like Tehran where mullahs lay out a theological justification for violence and murder. What they actually practice unabated on their own Muslim population. The world will soon have to make the hard, but necessary choice of whether or not to put a finger in the dike of the rising tide of extremism, or address the source of it in places like Syria and Iran.